Otherwise, the international community will encourage further repressions, he said. 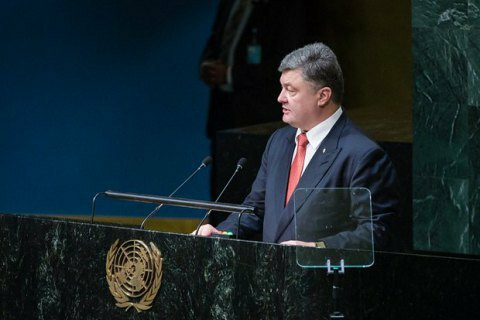 President Petro Poroshenko has called on the UN member states not to recognise the legitimacy of the elections to the Russian State Duma. He was speaking at the General Debate of the 71st UN General Assembly in New York. "We also urge you not to recognise the legitimacy of the Russian elections, which were held a few days ago in the occupied Crimea," he said. "If you do recognise them this will play into the hands of the aggressor and encourage further repressions." On 20 September, the Ukrainian parliament recognised the 18 September elections to the Russian State Duma as illegitimate.